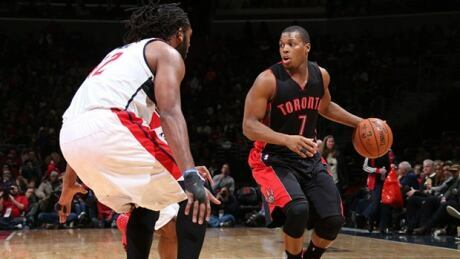 Kyle Lowry scored 23 points and the streaking Toronto Raptors won in overtime for the second consecutive night after losing a large second-half lead, defeating the Washington Wizards 120-116 on Saturday. 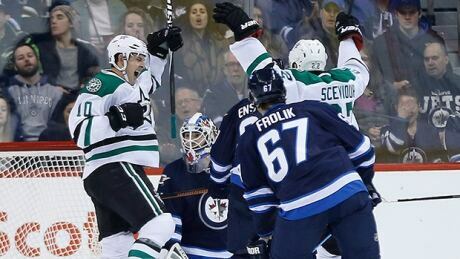 Defenceman John Klingberg had a pair of goals and added two assists as the Dallas Stars scored four power-play goals in a 5-2 victory over the Winnipeg Jets on Saturday. 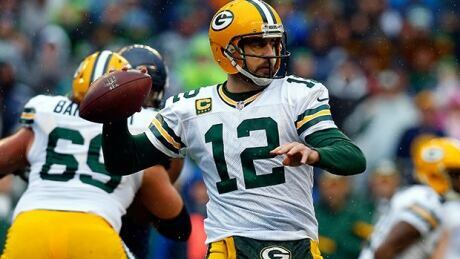 By Frank Pingue PHOENIX (Reuters) - Green Bay Packers quarterback Aaron Rodgers was named the National Football League's Most Valuable Player on Saturday, joining an impressive list of future Hall of Famers to have won the award multiple times. While Rodgers's statistics during the 2014 regular season were not of the record-setting variety he set in 2011, when he first won the MVP award, they were still impressive. "I'd rather be at the hotel right now waiting to play tomorrow," Rodgers said after accepting the award at Phoenix Symphony Hall. It's hard not to get emotional up there." Rodgers had the Packers in position to earn a berth in the Super Bowl game but they squandered a 12-point lead with three minutes to play in regulation before falling in overtime to Seattle. 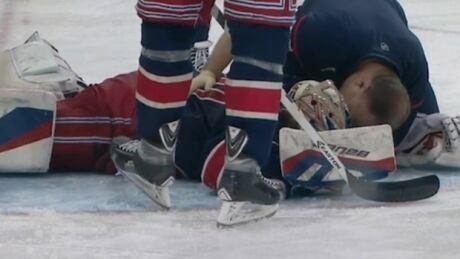 Rangers goalie Henrik Lundqvist escaped a serious injury after a scary and bizarre play Saturday night against the Carolina Hurricanes. Green Bay's Aaron Rodgers won his second MVP award while the Houston Texans' J.J. Watt claimed top defensive honours and the Dallas Cowboys' DeMarco Murray won offensive player of the year. 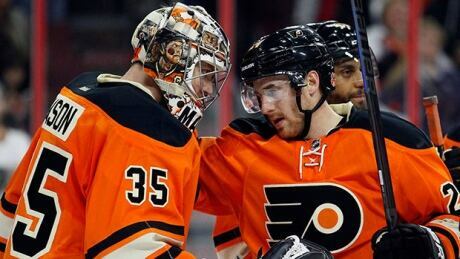 Steve Mason stopped all 30 shots and Michael Del Zotto scored to help the Philadelphia Flyers beat Toronto 1-0 on Saturday night and send the Maple Leafs to their ninth straight loss. By Daniel Wallis PHOENIX (Reuters) - The Arizona lawman who bills himself as "America's toughest sheriff" predicts the New England Patriots will win the Super Bowl and says some inmates will be allowed popcorn as they watch Sunday's face-off with the Seattle Seahawks. Joe Arpaio, the 82-year-old sheriff of Maricopa County where the National Football League's championship game will be played, held an event on Saturday at which he popped the popcorn and forecast the Patriots will triumph 27-17. He also took a cheeky jab at his favored team over the "deflategate" scandal, in which the Patriots are accused of using under-inflated footballs during their AFC championship triumph against Indianapolis. Carolina Panthers linebacker Thomas Davis was named the 2014 Walter Payton Man of the Year on Saturday for his commitment to community service and excellence on the field. Davis won the award over San Francisco 49ers wide receiver Anquan Boldin and Green Bay Packers quarterback Aaron Rodgers. "This award means a great deal to me, as it symbolises the valued work that the NFL, its players, and its 32 teams do in the community," said Davis. You are currently browsing the Sportspool.com Sports News blog archives for January, 2015.